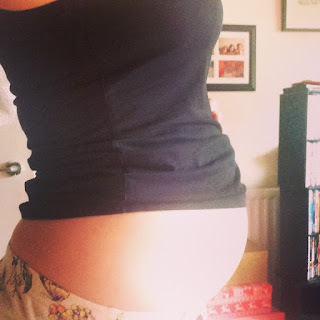 Today I wanted to do a little throw back post all about my pregnancy because if I'm honest I have been feeling a little broody lately. 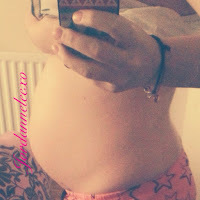 I seen some bump pictures on my "on this day" bit on Facebook and since then I have been missing my bump like crazy! 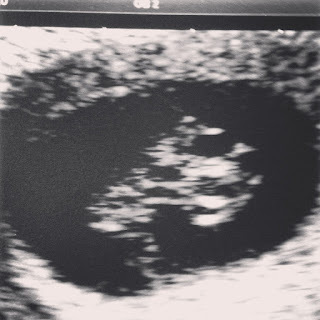 Although I had a pretty crappy pregnancy I loved knowing that I had a little live growing inside of me and my love for the baby grew stronger every day. 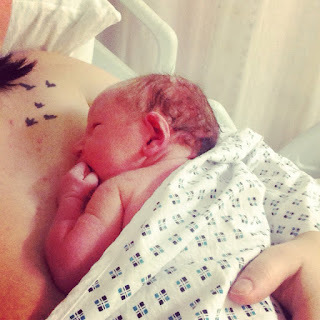 Right now I would love nothing more than to be a mum to two little babies but I know it's not practical at this moment so I thought I would just reminisce with pictures about my pregnancy with Leon! 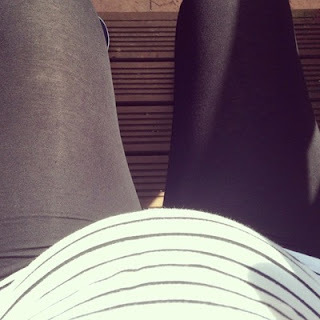 This was my first ever picture I took of my bump. 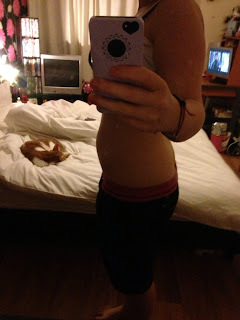 I was only 12 weeks and I was starting to get a little bump that I loved! I just loved to cradle it and watch it grow. One of my faviourite things to do was look down at my bump any chance I could, it was one of my faviourite sights to see whilst sitting down. I really had an addiction to taking bump photos whilst I was pregnant, because I wasn't growing very fast or getting big I just liked to take comparison pictures to see just how much I had changed. When I was pregnant Stephens sister threw me a baby shower and I received such amazing gifts! 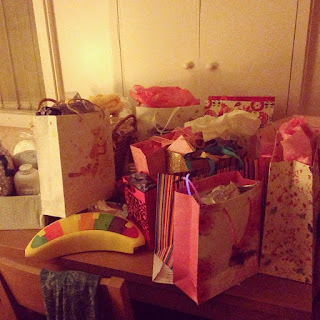 everyone was so generous with what they gave me. We played games, had great banter and I received some great advice. This was one of the last pictures I took just before I gave birth. 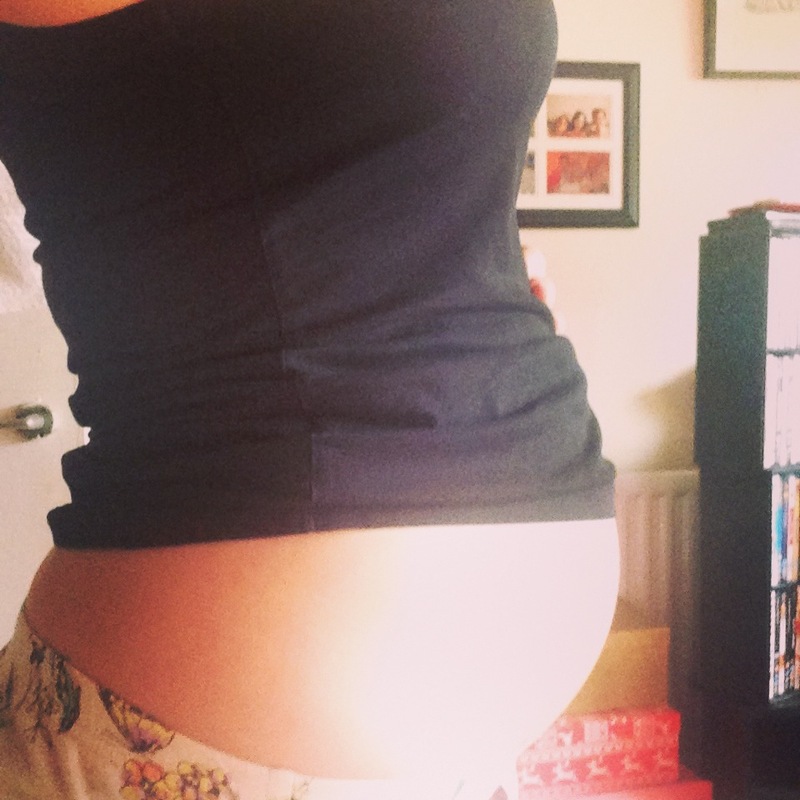 I really didn't get a big bump at all and my friends that were pregnant at the same time were huge and if I'm honest I was kind of jealous because if I put on a big jumper I didn't look pregnant at all. After everything I went through in my pregnancy it was so worth it! 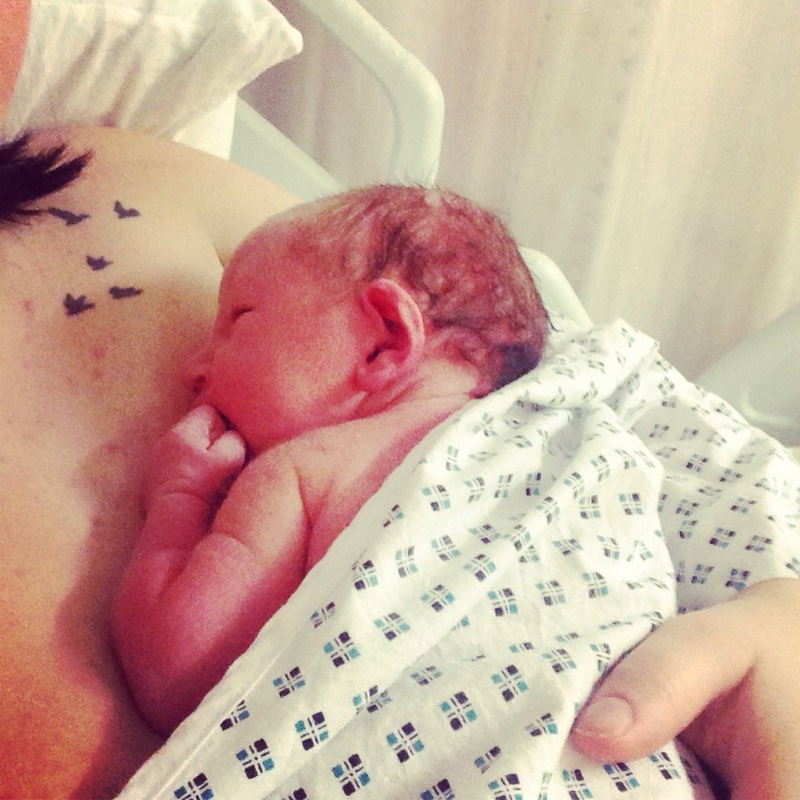 I got my little prince and I was in awe of him. Ever since setting eyes on him I have had a fierce love for that boy, hes my world and my complete everything. What a lovely blog post. 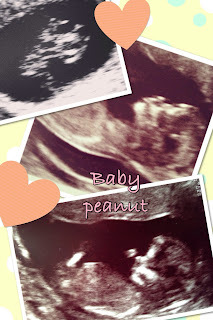 I remember my pregnancy so well. I felt the same way as you. It was all worth it after I got my baby. I didn't get very big with my first one either, and yes, I remember not looking pregnant but feeling like I was carrying six people inside me! 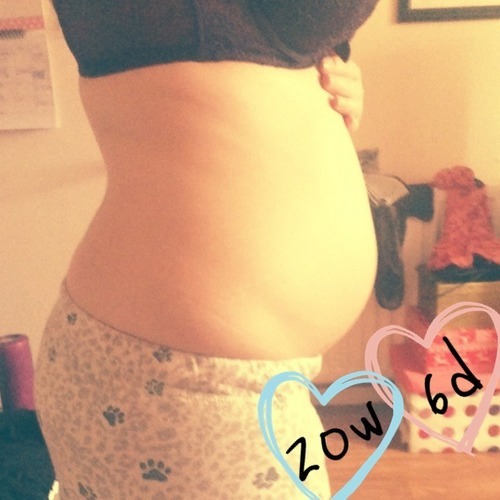 That changed with subsequent pregnancies and by my third I swear I looked six months pregnant after two weeks, lol! Your photos are lovely. I miss my pregnant days. What a sweet post! Your little one is so adorable!